Led by the Global Institute for Water Security at USASK, GWF is in partnership with the Waterloo, McMaster and Laurier. With 39 projects across Canada, there are numerous research, graduate student and faculty opportunities. 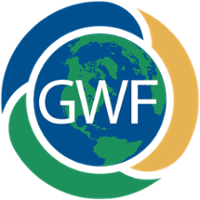 Interested in the 39 water-related projects encompassing the GWF program? Learn more about our research deliverables. With over 500 members, GWF-YP encourages collaboration, leadership, research, and networking among GWF. 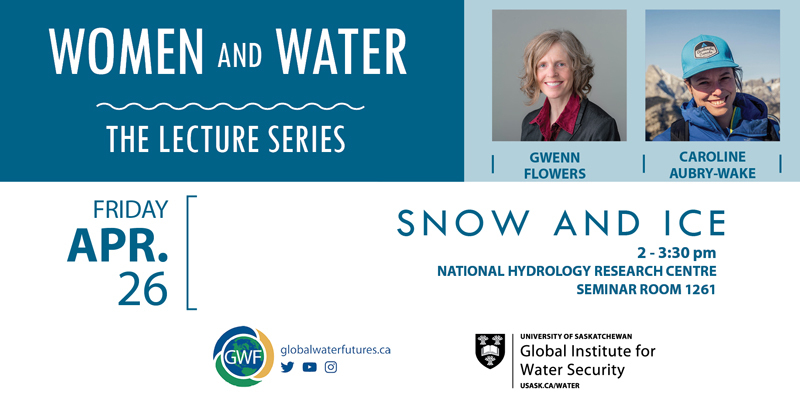 Join us for the Women and Water Lecture Series, an ongoing monthly lecture series will showcase water research, support young professionals and provide a space for dialogue. Global Water Futures: Solutions to Water Threats in an Era of Global Change is a University of Saskatchewan-led research program that is funded in part by a $77.8-million grant from the Canada First Research Excellence Fund. The overarching goal of the program is to deliver risk management solutions - informed by leading-edge water science and supported by innovative decision-making tools - to manage water futures in Canada and other cold regions where global warming is changing landscapes, ecosystems, and the water environment. Global Water Futures (GWF) aims to position Canada as a global leader in water science for cold regions and will address the strategic needs of the Canadian economy in adapting to change and managing risks of uncertain water futures and extreme events. End-user needs will be our beacon and will drive strategy and shape our science. GWF is led by the Global Institute for Water Security at the University of Saskatchewan in partnership with University of Waterloo, McMaster University and Wilfrid Laurier University.